The financial services industry has long been a leader in AI implementation. As early as the 1980s, Citibank was looking to high-performance computing to drive faster and better financial decision-making. Since then the major Wall Street players have been looking to AI and ML solutions as a way of increasing their edge over the competition. In fact, with the exception of the technology sector, the banking and securities sector reports the biggest spend on AI. The potential gains are worth it. In retail banking alone, AI could drive an impact of up to $170 in developed markets, according to research from McKinsey. 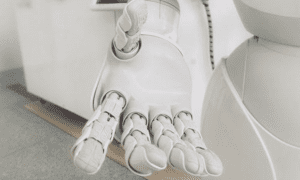 Little wonder S&P Global had no qualms about spending $550m to acquire AI startup Kensho. But just how will AI reshape the retail banking industry? AI offers significant potential for driving predictive recommendations around product offerings for existing customers based on their demographics, financial standing and product history. First introduced for investment banking clients, JP Morgan’s Emerging Opportunities Engine identified customers best placed for additional equity offerings. It did so by analyzing their current product enrollments, portfolio and investing behavior, as well evaluating current market conditions. The product has since been expanded to the firm’s retail banking clients. Similarly, AI makes it possible to tailor the individual customer experience. 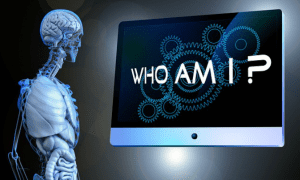 Customers are looking beyond personalization to hyper-relevance, and AI makes that possible. Using AI, retail banks can dynamically adjust digital experiences based on the products and services a consumer has signed up for. Regions Bank, for example, offers “guided discovery tools” to help customers discover relevant products. Risk assessment is where AI will deliver the most benefit to retail banking, according to 49% of those surveyed by Baker & McKenzie. AI’s predictive nature makes it a powerful tool for helping with decision-making from both a business and customer perspective. Retail banks can use AI to determine where to open branches, what services to offer, or who to give a loan to. Customers, meanwhile, can use it for advice on investments or financial planning. Multi-channel marketing and retargeting have made it easy for competitors to court banking customers. Add low levels of customer-service interactions, and it’s not hard to entice someone to switch providers. AI allows retail banks to engage existing customers by creating an “audience of one” marketing campaign to deliver exceptionally personalized, relevant information exactly when it’s needed. Personalized calls to action, tailored push notifications, dynamic price optimization and churn prediction can all help maintain customer loyalty. Banks process thousands of loan contracts and financial deals annually, a time-consuming process with a high margin for error. JP Morgan recently introduced a contract intelligence service called COiN to automatically review and analyze legal documents. The tool is estimated to cut the 360,000 hours spent reviewing documents down to mere seconds. With 80% of loan serving errors due to contract interpretation errors, COiN offers significant efficiency gains. AI has already been extensively implemented in retail banking customer service, most commonly as chatbots. Among them are Bank of America’s Erica, Capital One’s Eno and Ally Bank’s Ally Assist, along with more sophisticated solutions such as USAA’s natural language project Clinc, a pilot with Amazon Alexa. These tools deliver help and trouble-shooting, and assist users in conducting day-to-day banking tasks such as paying bills and checking account balances. By shifting resources away from front-line staff and call centers, chatbots will help save $8b in customer service expenditure by 2022. AI can help retail banks cut costs related to personnel, processes and procedures and decision-making. It can simplify and automate interactions, improving the speed and quality of decision-making. It can also automate and standardize processes such as tracking and reviews, reducing personnel costs. Additionally, real-time tracking and monitoring can improve forecasting and fraud detection. AI makes it possible to analyze large numbers of data points around the customer experience. Natural language processing can be used to parse customer support messages, self-help community forms, social media content and review aggregators. The data can then be categorized into themes and analyzed in terms of sentiment to determine areas for improvement. Voice of the customer technology can be used both for large-scale implementations, or for identifying and addressing customer needs at the individual level. 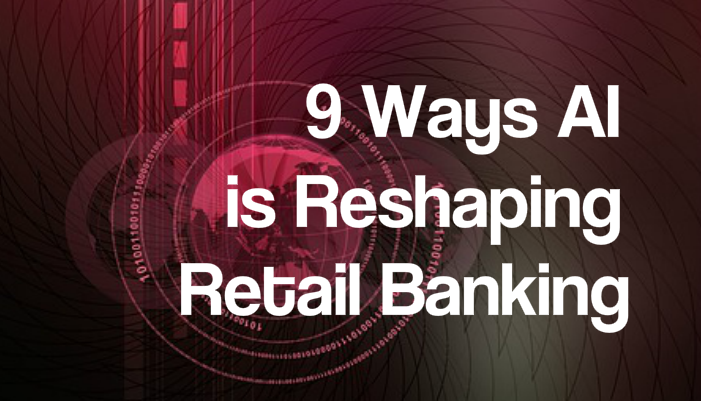 It’s not just AI-powered industry competitors that retail banks need to be concerned with. Established tech giants are leveraging a combination of large user bases, low acquisition costs, advanced analytics capabilities and internet banking licenses to move into the financial sector. Alibaba’s Alipay and Apple’s Apple Pay are just two examples of tech companies making a move into the financial services ecosystem. AI has already disrupted finance, and it’s quickly doing the same for retail banking. With huge efficiency gains along with greater personalization and market forecasting, it’s a tool delivering tremendous change. And with tech giants leveraging their own databases and analytics to position themselves as competitors, retail banks need to whole-heartedly embrace AI in order to stay ahead of the market. With over 20 years of combined experience in product management, marketing, text analytics and machine learning, Seth is currently the CMO of text analytics and artificial intelligence leader, Lexalytics. Prior to this role, Seth served as Vice President of Product Management and Vice President of Marketing at Lexalytics. Seth has also held executive positions at both hardware and software companies, including co-founder of Netiverse (acquired by Cisco Systems). During his tenure at Cisco, Seth built Cisco’s first internal text analytics solution for reputation management. Seth has a degree in Chemistry from Carnegie Mellon University. 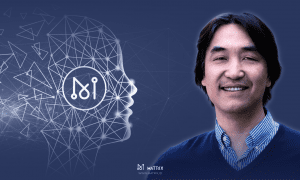 A World-Class Artificial Intelligence and Blockchain Solution: Interview with the CEO of MATRIX AI Network.